One of the region’s best-known and most-respected newscasters, Emmy® Award-winner David Ushery serves as the co-anchor for NBC 4 New York’s 11 AM and 5 PM weekday newscasts. An integral member of the NBC 4 New York news team, Ushery has covered many of the largest and most visible breaking news stories across the Tri-State region - and around the world. As a key component of NBC 4’s continuing team coverage of Hurricane Sandy in 2012, Ushery’s work was honored with a National Emmy and an Edward R. Murrow Award for broadcast excellence. In 2018, Ushery travelled to Houston, Texas to deliver live updates following the funeral of former President George H.W. Bush. Earlier that year, Ushery travelled to Jerusalem where he took Tri-State viewers to the opening of the new United States Embassy. He also took viewers to the front lines in Gaza and the West Bank, where massive protests led to confrontations with police. One year earlier, Ushery travelled to Israel to cover President Trump’s visit to the Holy Land before quickly shifting his live reports to England, following the tragic bombing outside the Manchester sports arena. In June, 2016, Ushery travelled to Orlando to cover the tragic Pulse Nightclub shooting. One year prior, he reported from Paris following the city’s deadly terrorist attacks. He also provided live coverage following the Sandy Hook elementary school shooting in 2012, the miraculous emergency landing of US Airways Flight 1549 in the Hudson River in 2009 as well as multiple presidential elections. He made also made several trips to Rome to cover the resignation of Pope Benedict XVI; the 2013 papal conclave electing Pope Francis, the current Pope of the Catholic Church and the canonizations of Pope Saint John Paul II and Pope Saint John XXIII. Previously, Ushery co-anchored the weekend editions of "News 4 New York" at 6 PM and 11 PM and was the host of the Emmy®-nominated program "The Debrief with David Ushery." Created by Ushery in 2009, “The Debrief” was nominated for an Emmy® for three consecutive years. The half-hour broadcast utilized an unscripted, conversational approach to storytelling that provided viewers with a unique behind-the-scenes perspective of the latest news being covered by NBC 4 reporters, colleagues and newsmakers. Though "The Debrief" is no longer in production, Ushery continues to use the style and format elements which made the show a success. In 2010, a "Debrief" segment featuring a blog by New York City mothers launched the spin-off program, “Moms and the City and a Dad named David.” Ushery and the mothers examined issues from a parent’s point of view. 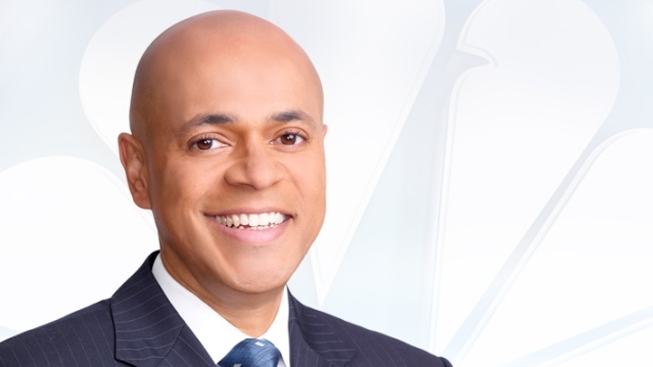 Ushery joined NBC 4 New York from WABC-TV, where, during his 10-year tenure, he rose from general assignment reporter to full-time anchor of the early morning and noon broadcasts and was the primary fill-in anchor for the evening newscasts. While at WNBC, Ushery provided extensive, in-depth reporting of the shooting death of Amadou Diallo as well as the terrorist attacks on September 11, 2001. He also covered news outside of the tri-state area during that time, including the space shuttle disaster from Houston, Texas; the O.J. Simpson trial in Los Angeles and the disappearance of Elizabeth Smart from Utah. He made multiple trips to Haiti for a series of reports on the island’s political and economic unrest; to Africa and Toronto for Pope John Paul II’s visit and to South Africa to cover the United Nation’s conference on racism. Prior to joining WABC-TV, Ushery was the lead evening reporter for WFSB-TV in Hartford, Connecticut, and also reported for the Hartford Courant and the Los Angeles Times. He was 11 years old when he was selected from a Connecticut statewide search to host the local edition of “Kidsworld”, a nationally syndicated television show. One of his first interviews was with news icon Walter Cronkite, who was considered one of the most trusted men in America at the time. Ushery hosted "Kidsworld" until he was 18. Known for his passion for volunteerism and tireless service to the local community, Ushery is the recipient of honorary degrees from St. John’s University, in 2014 and from St. Francis College in 2018. He has also been repeatedly recognized for his commitment to NBC 4 New York's viewing audience and has been honored with multiple awards, including the 2014 Nubian Cultural Center’s “2014 Legend’s Awards” for expertise and service to community; 2013 “Excellence in Journalism” award from the Public Relations Society of America; 2012 Emmy Award for Special Programming: Dead Sea Scrolls; 2011 McDonald’s Black Media Legends: Faces of Black History Award and the National Association of Black Journalists Award for his series of reports on children and violence. The Network Journal and Black Professionals Business Magazine named Ushery one of its “40 Under-Forty” for his journalistic accomplishments. The Israeli Consulate in New York City honored him for his comprehensive, fair and balanced reporting on issues that affect all New Yorkers. Ushery, a Harry S Truman Scholar, is a graduate of the University of Connecticut. He is married and has a son.